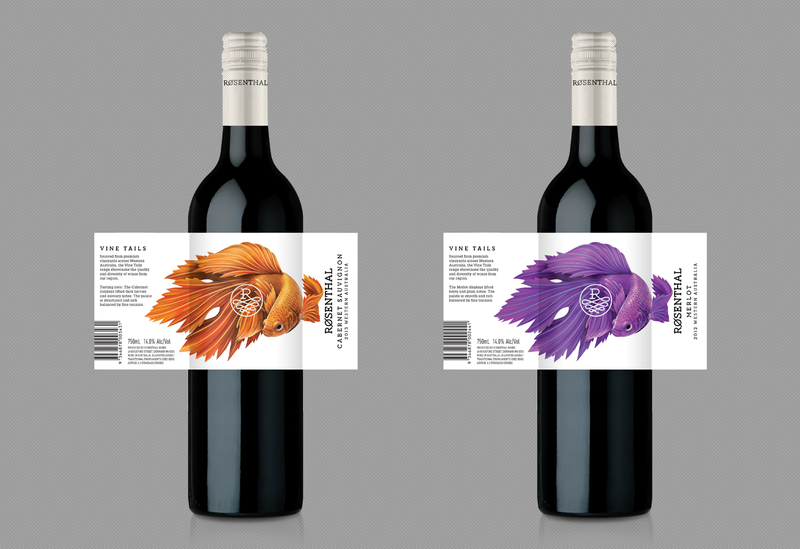 Zendoke was commissioned by Rosenthal Wines to create a series of wine labels for the Chinese market. 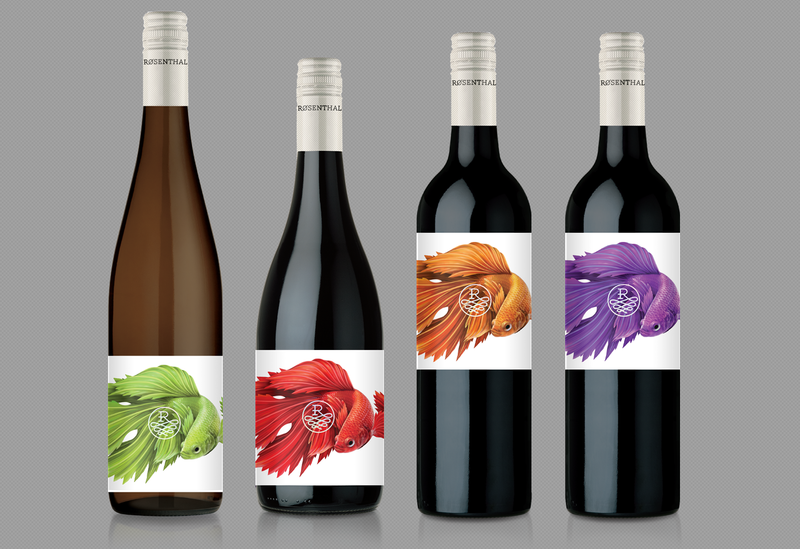 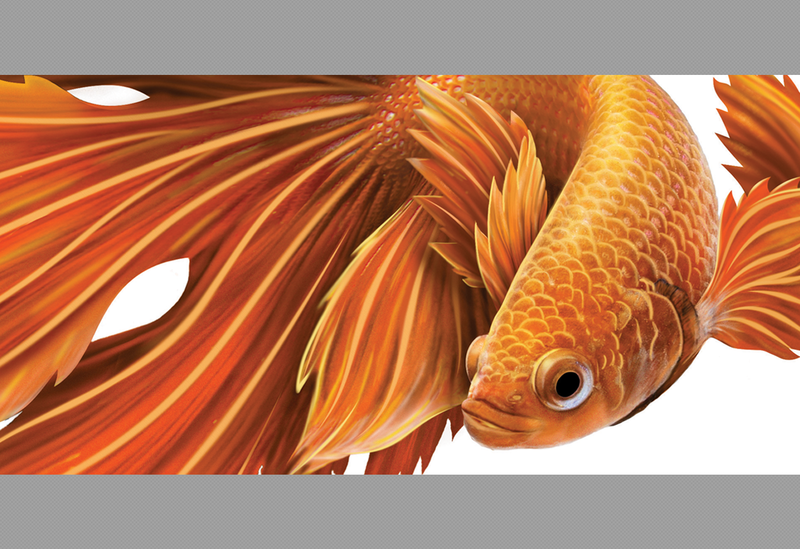 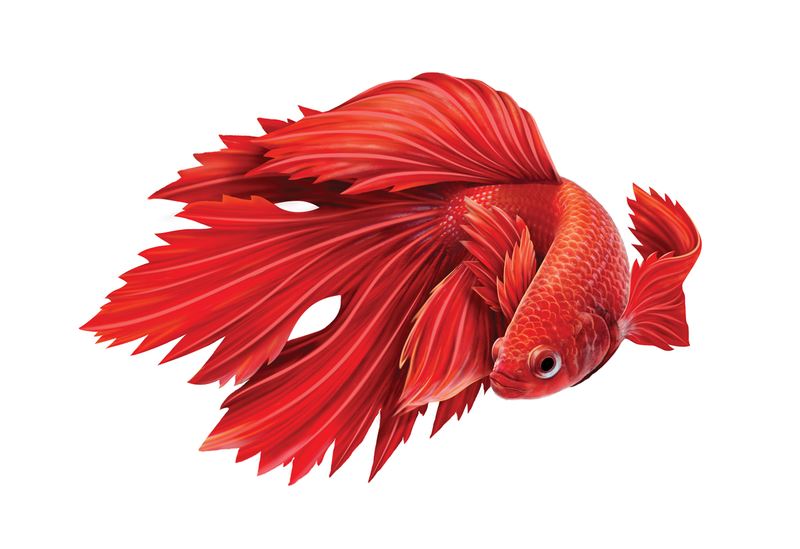 Inspired by dragons, the Vinetails series took the dragon-like Betta fish and kitted it out with some custom grape leaf fins. 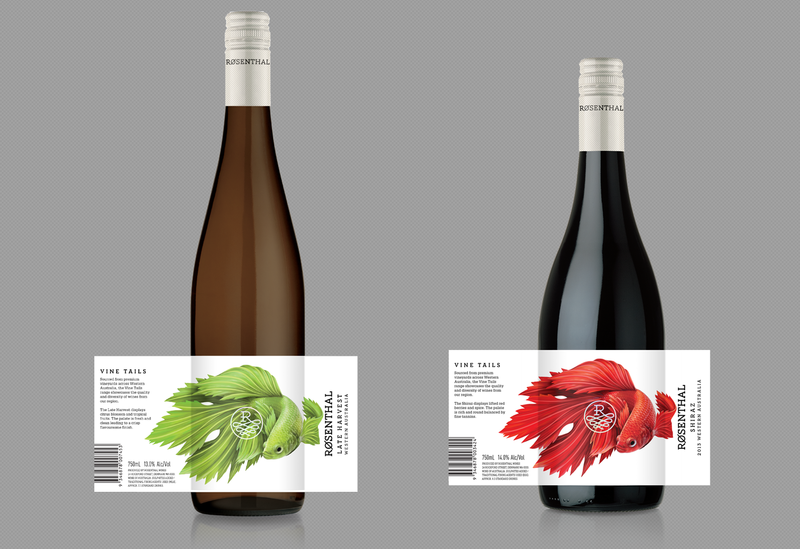 The colour change over the varietal range mimicked the seasonal colour change of the grape leaf.